The first part of the CDO Toolkit provided the CDO with a process of identifying, assessing, and estimating the value of the organization’s data in support of the organization’s key business initiatives. CDO also needs a process for capturing, refining and re-using the organization’s analytics in support the organization’s key business initiatives and the use cases. Let’s expand upon what we have already done as part of the CDO Toolkit to create a process and supporting framework for capturing, refining, sharing and ultimately monetizing the organization’s analytics. The capture, refinement and reuse of the analytics are built around a simple concept called the Analytic Profile. Analytic Profiles are structures (models) that standardize the collection, application and re-use of the analytic insights for the key business entities at the level of the individual (human or physical object). We build Analytic Profiles for each individual Business Entity such as customer, store, employee, product, supplier and local events (see Figure 10). Analytic Profiles provide a framework for ensuring that the organization’s analytic efforts are being coordinated around a larger analytics master plan. Analytic Profiles enforce organizational discipline in the capture and application of the organization’s analytic efforts and minimize the risk of creating one-off, “orphaned analytics.” Analytic profiles help organizations prioritize where and how to invest their valuable data science resources by forcing the identification of the analytics needed to support the organization’s top priority business use cases. 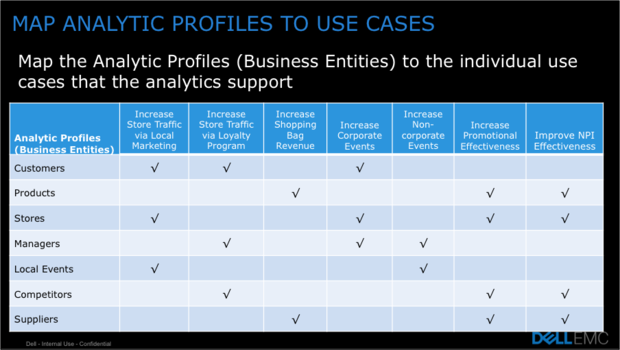 Next we want to map the Analytics Profiles (Business Entities) to each use case to understand which Analytic Profiles are important across which use cases. 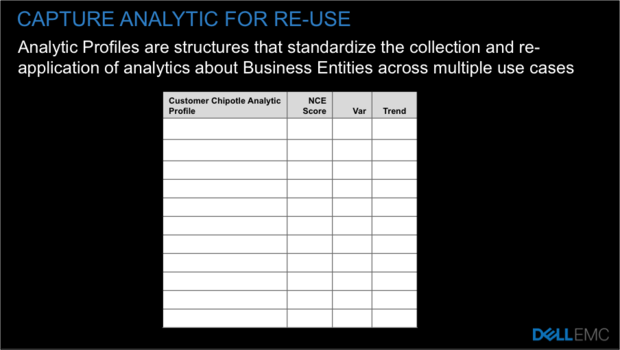 To continue our Chipotle exercise, we map the Chipotle Analytic Profiles against Chipotle use cases (see Figure 11). 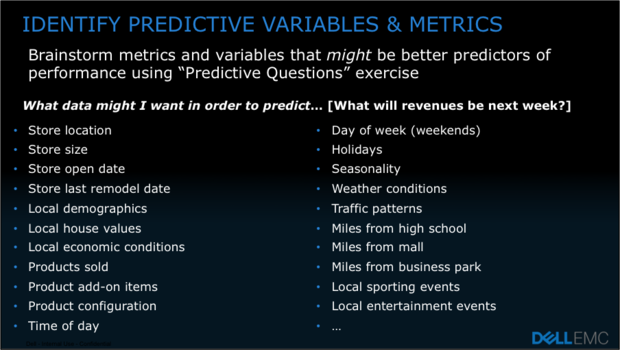 For our top priority use case (which we prioritized in Figure 5), we want to identify or brainstorm those variables and metrics that might be better predictors of performance (remembering our definition of data science). To accomplish this, we will apply the “Predictive Questions” exercise. What data might I want in order to predict [Descriptive Question]? What data might I want in order to predict what will revenues be next week? Then if you follow good facilitation techniques (see blog “How To Run A Workshop: Guidelines and Checklist”), we end up with a wide variety of metrics and variables that might be better predictors of performance (see Figure 12). You will want to capture each variable or metric on a separate Post-it Note, as we will want the ability to group these variables and metrics later. In the next step, we bring the business stakeholders together in order to have them group the variables and metrics into common subject areas (and potentially brainstorm additional variables and metrics in the process). These subject areas might be utilized to develop “scores” that would support the key decisions that make up the prioritized use cases (see Figure 13). Scores are a dynamic rating or grade standardized to aid in comparisons, performance tracking and decision-making. Scores help to predict likelihood of certain actions or outcomes (e.g., FICO score measures the likelihood of a borrower repaying their loan). Scores are actionable, analytic-based measures that support the decisions your organization is trying to make, and guide the outcomes the organization is trying to predict. 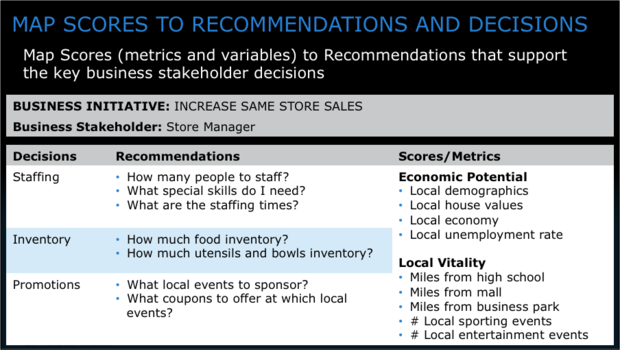 Understanding the local economic potential and local vitality around a store may impact business decisions around staffing, inventory, production, promotions and sponsorships. In order to ensure that we are building the most relevant or highest priority scores, we will map the potential scores to the recommendations and decisions necessary that support the prioritized use cases (see Figure 14). The worksheet in Figure 14 ensures that we are building the most relevant scores, and understand upfront where and how the analytic scores will be used to support the decisions being made by the business stakeholders in support of the prioritized use case. So at this point in the CDO Toolkit process, we have identified, prioritized and valued the data and the analytics necessary to support the organization’s key business use cases. Now we need to introduce the concept of Analytics Profiles as the structures (key-value stores) that standardize the collection and re-application of analytics across multiple use cases. Next is the creation of the Analytic Profiles. In Analytic Profiles are created by applying data science to uncover behaviors, propensities, tendencies, affinities, usage trends and patterns, interests, passions, affiliations and associations at the level of the individual entity (i.e., customers, students, patients, employees, cars, wind turbines, washing machines, devices, machines). 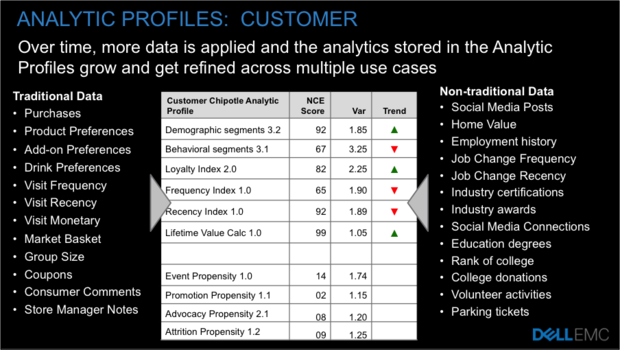 Figure 15 shows an example of a Chipotle Customer Analytic Profile that is being built out one use case at a time. 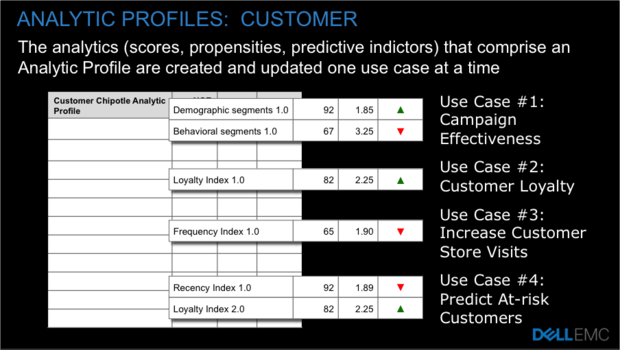 Notice in Figure 15 how Use Case #4 upgrades the Customer Loyalty Index from version 1.0 to version 2.0. This may have been the result of new data sources and/or improved data enrichment techniques and/or improved analytic modeling. Either way, the improved score has positive impact on all other use cases that use that score (such as Use Case #2 in Figure 15). Eventually, our Analytic Profiles leverage new sources of data and analytic techniques to create a wide variety of scores and analytic results that can be leveraged across more and more business initiatives and use cases (see Figure 16). CDO Toolkit Checkpoint: Where Are We Now? ¨Have you mapped the organizations Business Entities (around which we will build out Analytic Profiles) to your use cases? ¨Have you identified the decisions (and supporting recommendations) that we need to make in support of the identified use cases? 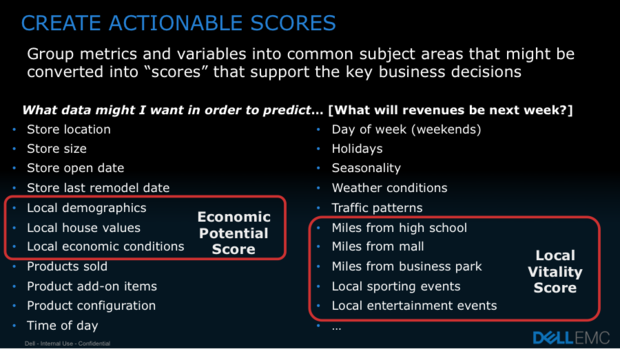 ¨Have you identified the analytic “scores” that we could create to support the decisions and recommendations? ¨Have you applied the “By Analysis” technique to brainstorm those potential variables and metrics that might be better predictors of performance? ¨Finally, have you created and started to populate the Analytic Profiles for each individual Business Entity with scores driven by the prioritization of use cases? Finally, all of this data and analytics intellectual capital gets pulled together in the data lake. The raw data, the refined data and the resulting analytics that support the different use cases can all be stored, managed and shared from the data lake. 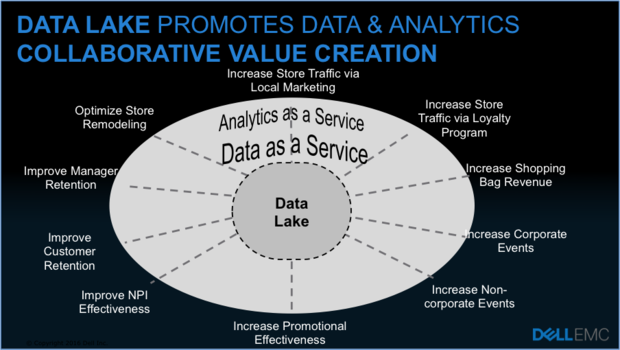 The data lake becomes the organization’s “collaborative value creation” platform that facilitates the sharing of data and analytics across the organization and across multiple business initiatives and use cases (see Figure 17). The CDO Toolkit concept is still evolving. My University of San Francisco School of Management students will get a chance to test and refine these methods first hand this upcoming spring semester. I’ve also asked a couple of my CDO friends to review the material in this blog. I’ll be sure to share the results. “Orphaned Analytics” are analytics that are developed for one-off business problems. While these orphaned analytics provide a one-time financial value, they do not get operationalized in a way that allows the organization to reuse and monetize the analytics across multiple use cases. Bill Schmarzo is the CTO, Dell EMC Services.